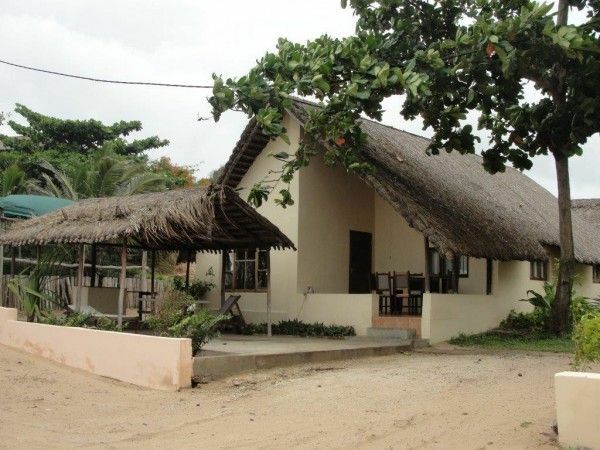 Corasiida Guest House is a Stylish Guest House Right On Tofo Beach. 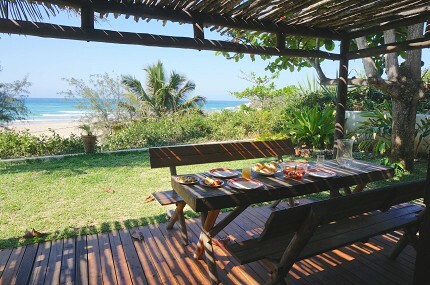 A fantastic accommodation option on Tofo Beach. The rooms are stylishly decorated, and the entertainment area and private swimming pool will ensures you a relaxing dive adventure. Corasiida is suitable for families, groups of friends, couples or individuals. Corasiida is the Portuguese name for one of the most beautiful species of birds, frequently seen in Tofo, known in English as the “Lilac Breasted Roller”. 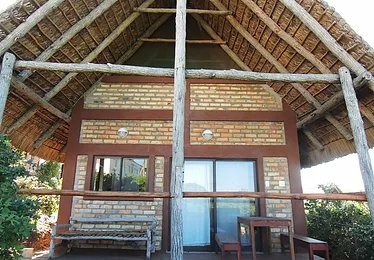 This name has been aptly adopted for this brand new guesthouse on Tofo Beach. 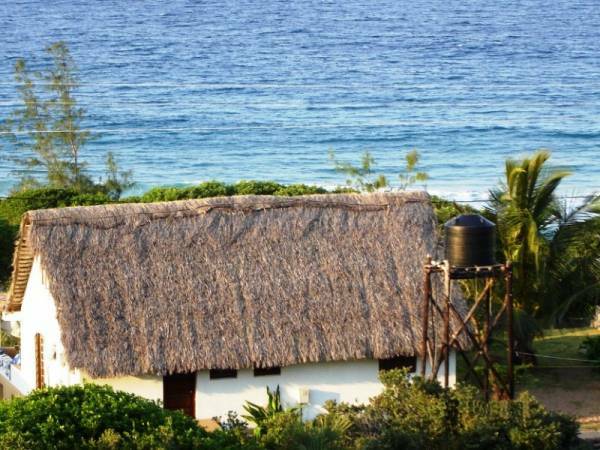 Accommodation at Corasiida Guesthouse - offers five comfortable upmarket en-suite rooms all with sea views. 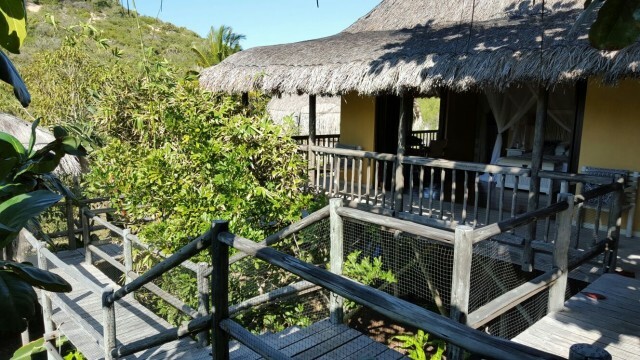 The rooms are elegantly furnished with air-conditioning, excellent quality mosquito nets and fans. There is a self catering Kitchen and it is open to guest who rent the house as a whole. Kitchen is fully equipped with stove, cutlery, crockery, fridges and freezer. The Bigger rooms can accommodate an extra person on sleeper beds. In Total the house can accommodate 10 people. 10 adults + 2 children. The communal areas include, a spacious lounge as well as a bar area surrounded by a large deck / veranda with a private swimming pool. 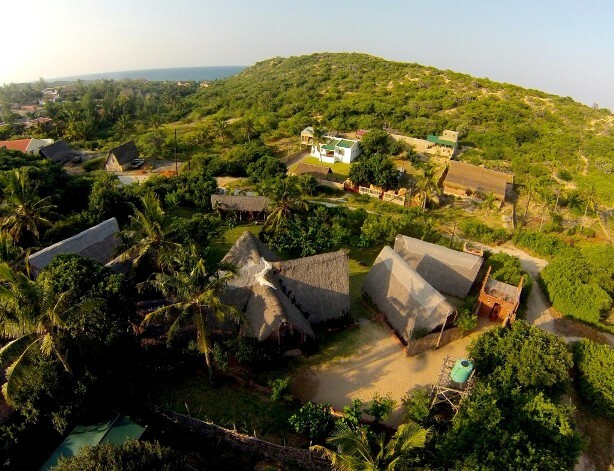 Tofo Scuba, a well-established dive centre is on your doorstep and the Guesthouse is ideal for patrons who prefer a one-stop-stay and diving experience. 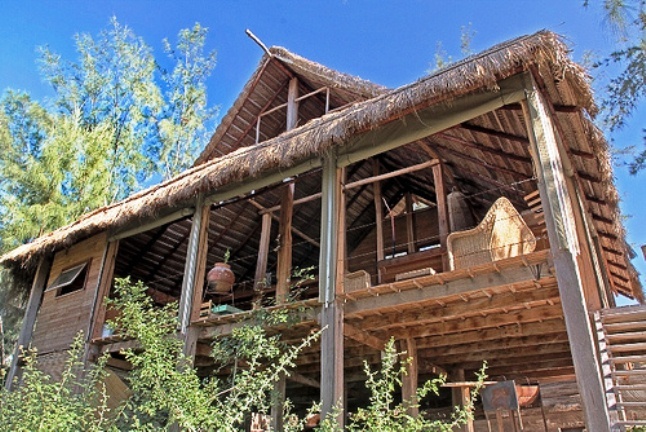 The local village and vibrant market are within easy walking distance of the Guesthouse. 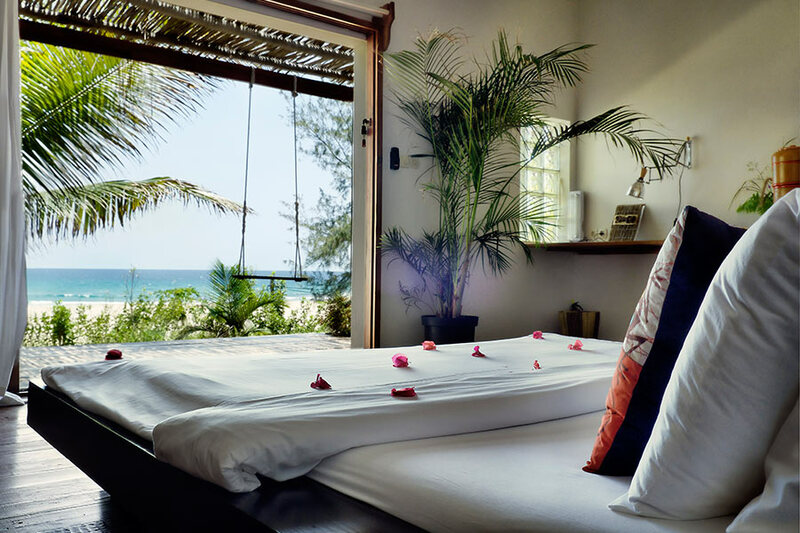 From the Guesthouse, you will have a spectacular view of the whole of Tofo Beach with breath taking sunrises over the ocean and sunsets behind the mangrove and palm trees. Corasiida is a self catering guest, but breakfast is arranged and taken at the dive centre next door. There is an honesty bar in the lounge area, and there is a restaurant at Tofo Scuba which also serves lunch. Rates are per person per night sharing on a room basis only. Full House Rental - If you are renting as a 10 sleeper, It will be on a self catering basis.